Gail Levin is the author of Edward Hopper: An Intimate Biography, Becoming Judy Chicago, and many other books on twentieth-century and contemporary art. She is Distinguished Professor of Art History, American Studies, and Women's Studies at the Graduate Center and Baruch College of the City University of New York. “Compelling. Art historian Gail Levin has drawn on her close association with Lee Krasner and extensive research to produce a biography that rings fair and true. 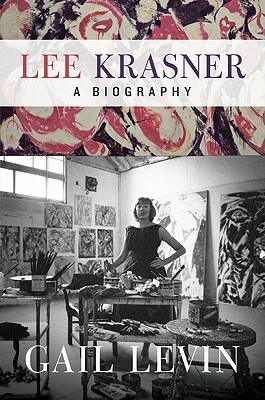 Gail Levin’s stunning new biography finally proves Krasner’s relationship with Jackson Pollock was only a sliver of an enormously colorful life.... Levin’s biography ensures that Lee Krasner will never again be known merely as “Mrs. Jackson Pollock.